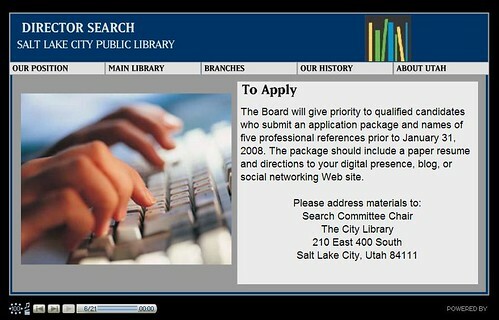 Wow… between the recent Washington Post article* about how DC Public Library is redefining their staff compliment with “more high-tech savvy employees” who are "very comfortable with change" to the application instructions for the newly reopened Salt Lake City Public Library’s director search -- Your application “package should include a paper resume and directions to your digital presence, blog, or social networking Web site” -- you can definitely see a shift is occurring. * Why does the press always seem to insist on writing inflamatory headlines? My sense is that with a generous 6 month severance package and the retirement incentives for those that chose the early leave package, that true story about the departure of the eight lies somewhere in between. 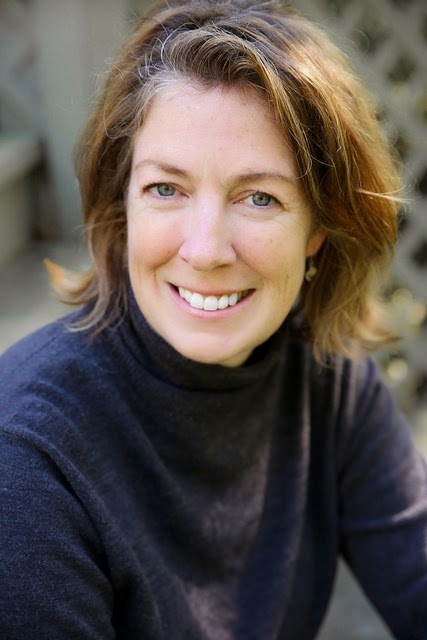 I agree I do not know if I would like it if my employer or future employer saw my blog....but then again your name is cycho librarian so you probably have more to worry about then me HA!